The web is a crowded place, with millions of articles shared daily on social media. What types of content are the most popular? We have analyzed more than 120 million articles. We will summarize the types of content that people like to share the most on Facebook, LinkedIn, Twitter, and Pinterest. We analyzed the top million most shared articles in the past six months, and we categorized them into different content types, such as quizzes, list posts, how-to articles, videos, giveaways, and infographics. The most popular content type, by far, is quizzes, which averaged 51,968 total Facebook shares (likes + shares). In contrast, the average article (among the top million), had 15,527 total Facebook shares. With mobile devices and shortened attention spans, surely we should keep our content short and sweet, right? Surprisingly, that’s not the case. When we compared the number of Facebook shares to the number of words in an article, we found that articles with 2000-2500 words had the most Facebook shares, at an average of 7846.8 shares. This was 15% greater than articles with 0-500 words and 24% greater than articles with 500-1000 words. Videos, as you might expect are very popular on Facebook. But, what’s the optimal length of a video? Do people tend to share short ones or long ones more? We analyzed the 500,000 most shared YouTube videos and found that videos of 4 minutes to 4 minutes, 20 seconds long averaged 79,859 total Facebook shares, which was the best. In fact, generally speaking, long videos performed much better than short ones. The worst performing videos were 0-20 seconds long and 40-60 seconds long. Here’s a sobering statistic: out of all the sites publishing on Facebook, the top ten publishers have about 60% of the total number of Facebook shares on a given day. One of them even garnered 57% of all shares, and that was YouTube. BuzzFeed as the #2 publisher won’t surprise many people, but Facebook users also love to share thoughtful, insightful articles from the New York Times in addition to entertaining articles, such as those found on BuzzFeed and Upworthy. Like Facebook users, LinkedIn users prefer to share long-form content. Articles with 3500-4000 words performed the best, averaging 251.9 LinkedIn shares, while articles with less than 500 words performed the worst, averaging 139.12 LinkedIn shares. 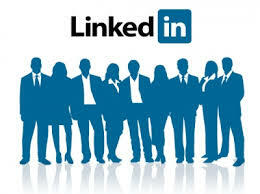 Many LinkedIn users want to establish themselves as thought leaders and experts in their fields. Long-form, detailed, comprehensive posts are often filled with useful insights and backed by research. Sharing these types of articles makes us look smart among our colleagues. However, just because LinkedIn users prefer long-form content doesn’t mean you should stuff articles with as many words as possible. Most articles we analyzed had a lot of words, but they were formatted in a way that was easy to read, with lots of visuals mixed in along with the text. LinkedIn members love actionable articles on self-improvement. It’s not surprising that topics like leadership, career, and interviewing are among the most popular. This doesn’t tell us anything new since that’s essentially what LinkedIn is all about. However, words such as “habits,” “lessons,” “advice,” and “mistakes” do tell us that LinkedIn members are specifically interested in actionable tips on improving oneself. And, the fact that “trends” is a popular word indicates that LinkedIn users are looking for insights into what the future holds in their industries. Popular topics on Twitter range from sports to climate change. When we analyzed the most popular topics of content shared on Twitter, we discovered there were some similarities between the audiences of Twitter and LinkedIn. Like LinkedIn, Twitter users are interested in sharing articles related to success, productivity, and entrepreneurship. Unlike LinkedIn, they like to share content unrelated to self-improvement as well. Other popular topics on Twitter include animal welfare, conservation, advocacy, politics, and health. It’s important to be mindful of your headline length, particularly on Twitter because of its character limit. We found that the most tweeted articles had 50 characters in their headline, although anywhere from 45-49 characters generally performed well. Because most people share the headline when they tweet a link to an article, 50 characters leaves plenty of room for commentary or reactions. If you must have a headline over 50 characters long, the “danger” limit to keep in mind is 80 characters. Of the one million most retweeted articles, only 12% had 80 or more characters in their headline. If you’re a B2B company, you might think that Pinterest isn’t worth the bother. However, there is one way to break into Pinterest, and that’s with infographics. Surprisingly, we saw lots of examples of B2B infographics being shared widely on Pinterest. One example in the marketing industry is this infographic on the best days to post on Facebook, segmented by industry, which generated 674 pins. In the career industry, there is this infographic about educating the workforce, which had over 1000 pins. In the educational technology industry, there is this infographic on questions a critical thinker asks that also got over 1000 pins. The shelf-life of a Pin is longer than a Tweet or a Facebook share. How often have you entered a search term in Google and found a tweet or a Facebook post in the top 10 or top 20 results? Rarely. Now, how often have you found a Pinterest board in the top 10 results? Still rare, depending on what you’re searching for; but in our experience, they pop up much more frequently. In fact, Pinterest boards ranking high in the SERPs is something others have seen as well. What can you do to take advantage of this? If your audience is equally split among Pinterest, Facebook, and Twitter, you should focus on getting your content pinned more. The more often it’s pinned, the more likely it will appear in someone’s Pinterest board, and the more likely that board will appear in someone’s search results. Do you have any tips on creating content for any of these social networks? Please share them in the comments below. Thank you.